Known as one of the most mesmerising waterfalls in the world, Iguazu Falls in Argentina is guaranteed to take your breath away. Situated alongside the city of Puerto Iguazu, the 82,000 residents of this city welcome visitors to be amazed and take in the spectacular sights. Popular attractions include Iguazu Falls National Park and La Aripuca. Cheap flights to Iguazu Falls are now available for a limited period of time, so get ready to be captivated by this astounding natural attraction! Cataratas del Iguazú International Airport (IGR) serves the visitors to Iguazu Falls and is situated 30 minutes from the Puerto Iguazu city centre. 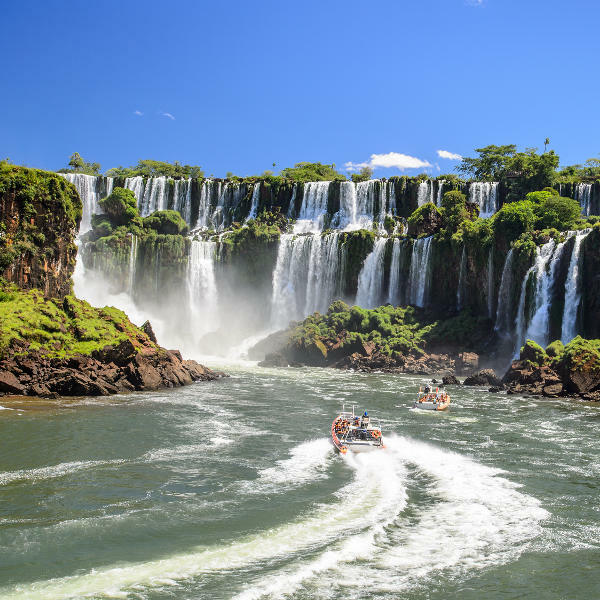 Whether it be a safari ride through the subtropical Iguazu National Park, a jet boat ride in the heart of the falls, riding the bicycle trails or abseiling down cliffs, there’s always adventure in the air! Feel the fierce power of one of the most beautiful, and largest waterfalls in all of South America. There are approximately 275 different falls which meet thousands of visitors a year who never leave disappointed. Visit and learn about the lost birds and wild fauna of the Argentine rainforest at Güira Oga, a rehabilitation centre for injured birds that aims to get them back to health, and back to the wild. The city of Puerto Iguazu experiences a tropical climate and has two district seasons – wet and dry. Depending on what you’d like to see and do when you visit Iguazu Falls, you may choose either of these seasons. During the wet season (October through to February), the falls are at their most vibrant with water currents that leave guests in awe. It is also the hottest time of the year, with high humidity levels. For those who might want to do a bit more exploring, the dry season (March to September) might be a better option though the water levels of the falls will be lower. Rivalled by no other waterfall in the west, the Iguazu Falls in the city of Puerto Iguazu are truly something to behold and is the centre piece of the Iguazu National Park. The falls boast an astounding 275 drops and visitors can spend days admiring their beauty. 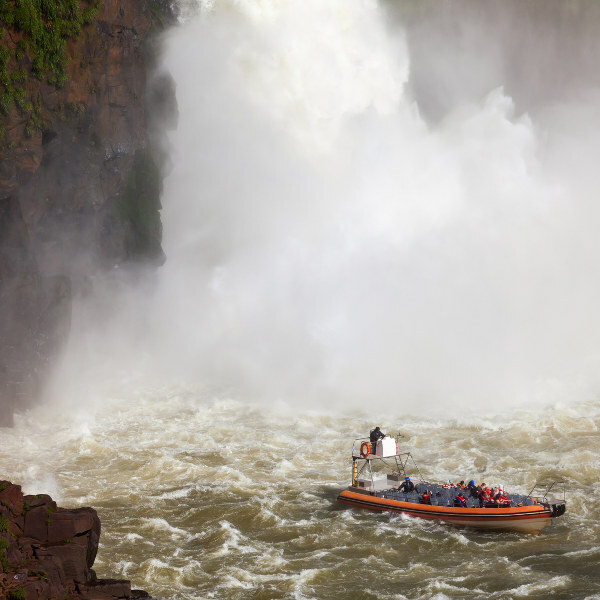 Not just to be looked at from afar, there are also jet boat tours that take you straight into the mouth of some of the falls – guaranteed to get your heart pumping. 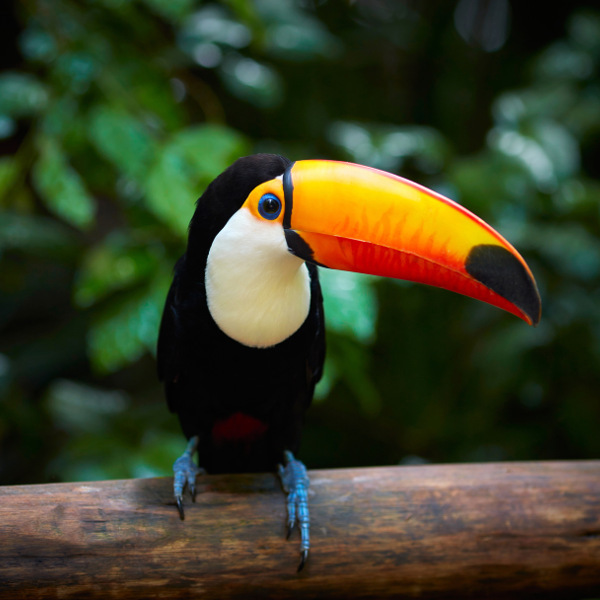 As Puerto Iguazu is in the heart of Argentine rainforest, it will come to no surprise that the area houses some wonderful wild animals, birds, as well as indigenous fauna. Pay a visit to a rehabilitation centre such as Güira Oga to see the hard work that the conservationists are doing to look after the rainforest and its inhabitants. For a lazy afternoon you’ll find that it’s surprisingly quiet in the town of Puerto Iguazu. Take advantage of this time to explore the unseen side of Argentina and do some shopping at the Puerto Iguazu Arts and Crafts Market where you can find some wonderful Argentine semi-precious stones and other trinkets. Compare several airlines, and book your cheap flights to Iguazu Falls online at Travelstart! The small city of Puerto Iguazu is very safe as most of it has been built around catering to the tourists that visit. There is not much of a police presence but that is because the area has always been crime free. However, when travelling from the airport to your accommodation it would be best to arrange it ahead of time as taxi drivers have been known to overcharge tourists. It is always important to have your vaccines up to date when you are travelling. When visiting Argentina, it is recommended to get a vaccination for hepatitis A, as you will most likely be eating food that is unfamiliar. You should get a shot for typhoid if you’ll be doing any trips to smaller, more rural areas of the country. Other vaccines that are recommended are hepatitis B, yellow fever, malaria and rabies. Please also note that there has been an outbreak of Zika in Argentina and pregnant women are advised against travelling there. Zika is spread via mosquito bites and unprotected sexual encounters.